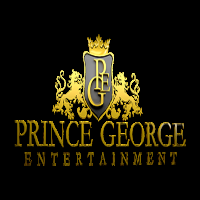 Prince George Entertainment (PGE) was founded in 2009 as an event planning company, incorporated in 2011 as a promotions and Entertainment company. Prince George Entertainment is a full Service Event, Venue management and Consulting company located in Toronto, Canada. It is one of the longest running, most prolific and highly respected company in the entertainment industry from the United Kingdom, United States and Canada respectively. Over these few years, the company has evolved into much more than event planning, offering: Photography, DJ & Artist Management Services etc… Some notable works includes Community fundraisers, local Nursing homes, Toronto Police Community service Awards and Children Sporting events. PGE is a fully insured Canada Based Promotion & Entertainment Company that provides high quality services to meet the needs of various individuals and businesses. PGE is not limited to hosting parties but contributing to many corporate, community & charitable events. Our “goal” is to exceed all expectations, stepping out of the “box” and setting new trends in the entertainment industry globally. We pride ourselves on attention to details and an “Extreme Theme” approach to quality event presentations.